On Tuesday, a panel of federal judges in Richmond, Virginia, will hear the first appeal of a lawsuit challenging the constitutionality of the Affordable Care Act. The appeal ties together two cases, including the one filed by Virginia Attorney General Kenneth Cuccinelli that resulted in a decision to invalidate the law's individual mandate. The other lawsuit, brought by Liberty University, failed. Tuesday's case is one of three major appeals cases going forward. The other two will come up next month, when federal judges in Atlanta and Cincinnati hear them. Of course, it's unlikely the legal challenge to health care reform will end in any of these courtrooms. Most legal experts expect the Supreme Court will have the final world, quite possibly during the 2012 term--yes, just in time for the presidential election. With all due respect to the appellate attorneys who otherwise would have handled this argument, this is the equivalent of the Boston Red Sox sending their star pitcher down to the minor leagues, to the Pawtucket Red Sox, to make a start in Game 7 of a playoff series. And the clear signal here is that the federal government, win or lose, doesn't want to wait until the Supreme Court argument here to have its best at court. You can understand that, can't you? The law's opponents sure can. Next month, in the case going before the Atlanta court, Paul Clement will be making the oral argument on behalf of Republican officials from 26 states. Clement was solicitor general under George W. Bush and is, I'm told, a formidable advocate. If you want to get up to speed on the issues, I highly recommend a new essay by Andrew Koppelman, a professor of law and political science at Northwestern University. The essay, which appears in the Yale Law Journal, makes a strong case for the law's constitutionality. And among the objections it addresses is the now-infamous broccoli argument: The suggestion that letting the government make you get health insurance is tantamount to letting the government make you eat broccoli. It is hard to see how such a law could be justified. It would be an abuse of Congress’s broad authority ... because the law would not be addressing any collective action problem. But this hypothetical is not an objection to the mandate that Congress actually enacted. 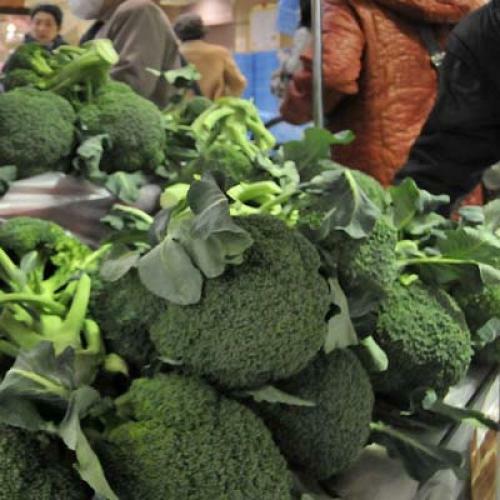 There are manifest differences between broccoli and health insurance: no one unavoidably needs broccoli; it is not unpredictable when one will need broccoli; broccoli is not expensive; providers are permitted by law to refuse it; and there is no significant cost-shifting in the way it is provided. Perhaps the most important part of Koppelman's essay, though, is his clear and, in my opinion, convincing argument about how the Constitution's "necessary and proper" clause justifies the mandate. This is, I think, where the legal argument for the Affordable Care Act is strongest. I'll have more to say on that later on.